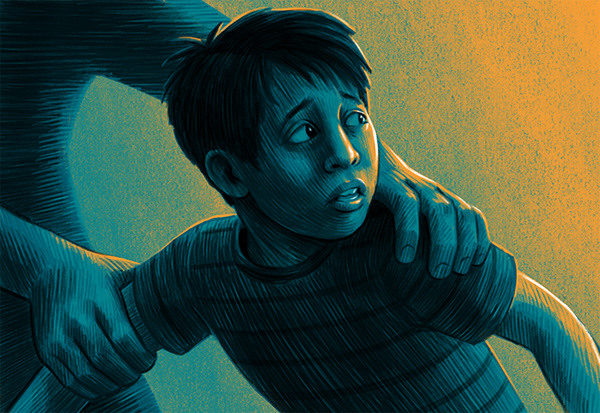 Illustration for Reveal from The Center for Investigative Reporting. This episode tells the story of 6-year-old Wilson, who was detained by US Border Patrol before being separated from his mother and held by a private contractor for months. While the two have since been reunited, their immigration status is still in question. ​​​​​​​Art direction by Michael Schiller. Illustration for Reveal from The Center for Investigative Reporting. This episode tells the story of 6-year-old Wilson, who was detained by US Border Patrol before being separated from his mother and held by a private contractor for months. While the two have since been reunited, their immigration status is still in question. Art direction by Michael Schiller.